I’ve mentioned before how I enjoy seeing how directors would return to some of the same actors. Well, the alien Eldrad first emerges as a crystalline female played by Judith Paris, but once the Doctor and Sarah take “her” back to her home planet of Kastria, she reconstitutes herself into her original male body, played by Stephen Thorne. 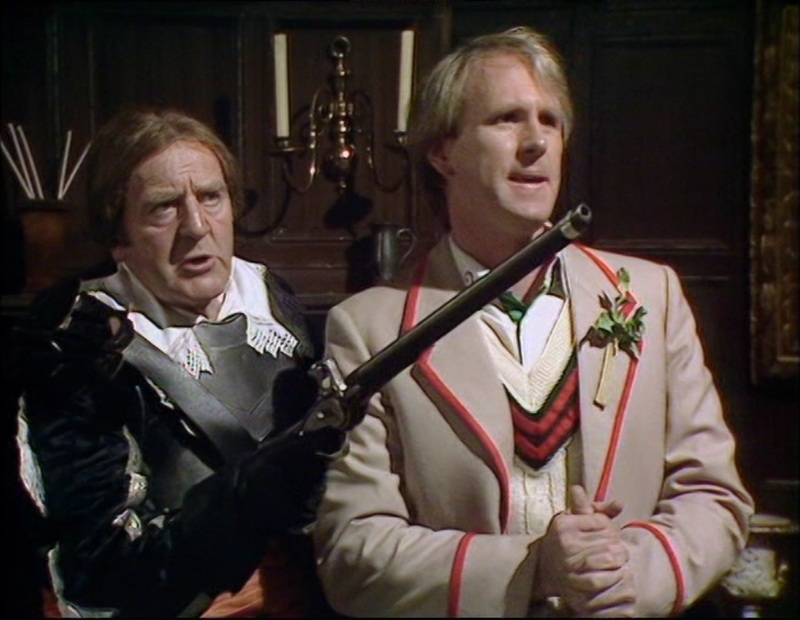 Director Lennie Mayne had used Thorne three years previously, as Omega in “The Three Doctors.” Thorne has such an amazing voice, but the writers certainly gave him a lot of boring dialogue. It’s all ranting and raving and “I! SHALL! BE! KING!” and conquering the universe and so on. So, going back to my own childhood and watching Doctor Who on Atlanta’s WGTV, I wasn’t able to catch every one of the compilation movies the first time around because of family trips or whatever. So I missed “The Hand of Fear” and was confused the following week because Sarah wasn’t in it. Sarah gets a remarkably unique departure. She’s the only companion in the whole of the original series who the Doctor actually leaves behind. In the story, it’s allegedly because the Doctor’s been summoned back to his home planet, Gallifrey, and he can’t take her with him. This kind of rings hollow in the first place because nothing was stopping him from coming back to Earth to pick her up, and in the second place because later companions would get to travel to Gallifrey without incident. So even though Sarah got to return onscreen twice in the eighties, lots of people have pointed out that something wasn’t right about that. Happily, thirty years after “The Hand of Fear,” Sarah returned for a third time in the episode “School Reunion,” and this was addressed. “The Hand of Fear” is definitely among that pile of Who adventures that start a whole lot stronger than they end. Honestly, part three’s cliffhanger has the Judith Paris version of Eldrad shot by a booby-trap missile, and part four could have just been Eldrad dying, the Doctor and Sarah exploring the dead planet by themselves, and finally going home, and I’d have been happier with it without all the ranting and threats. Sarah’s departure is the core of the story, and the male Eldrad just gets in the way of it. 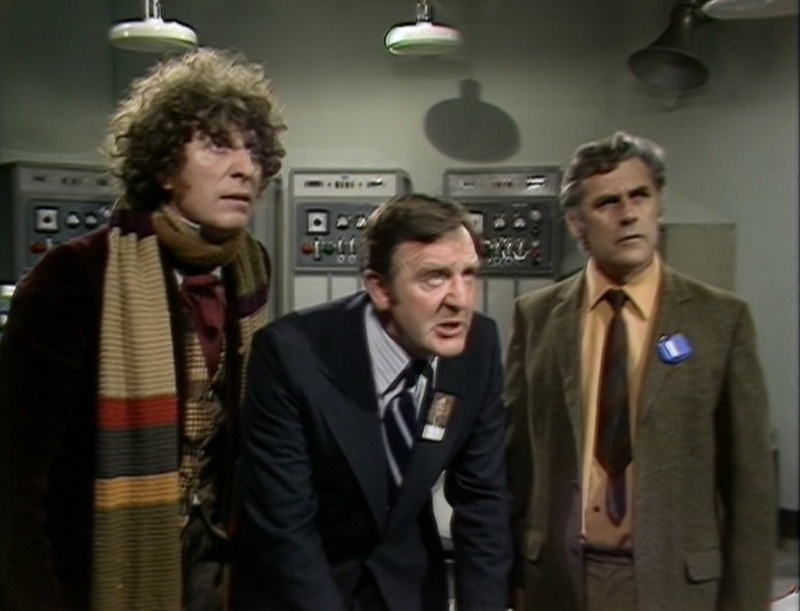 It’s a wonderfully sad ending, and apparently Tom Baker and Elisabeth Sladen wrote the scene themselves. 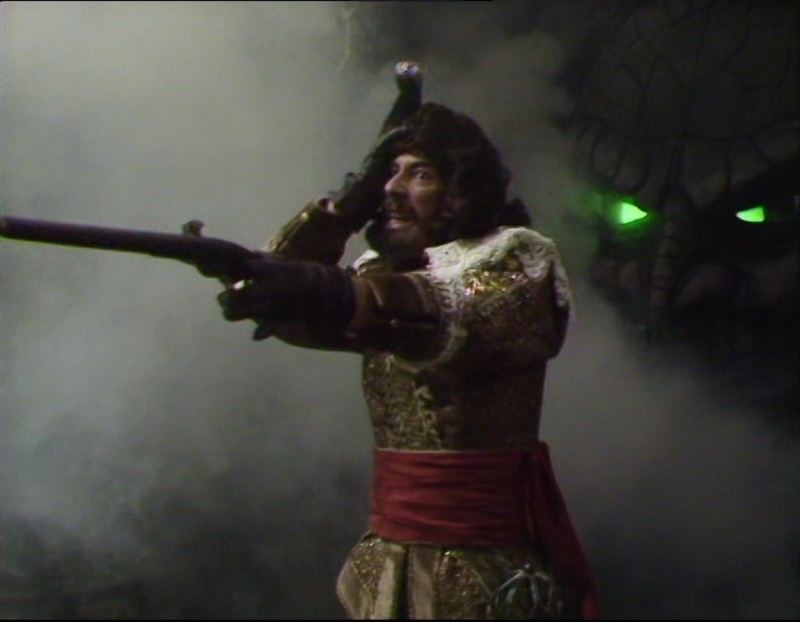 Unfortunately, our son didn’t enjoy this story very much at all, because he said he didn’t understand why, despite the script spelling it out very clearly, the Doctor took Eldrad back to Kastria. He has this odd habit of vaguely grumbling “I didn’t understand what that was about,” rather than asking specific questions. Once we understood the issue, his mother gave him a recap and he seemed a little more satisfied, and he was pleased when I told him that we would see Sarah Jane Smith again.